Music is important in all aspects of life and a crucial factor in any sensory environment. A musical sound garden combines the benefits of a sensory garden with playing musical instruments – an increasingly popular care home activity. 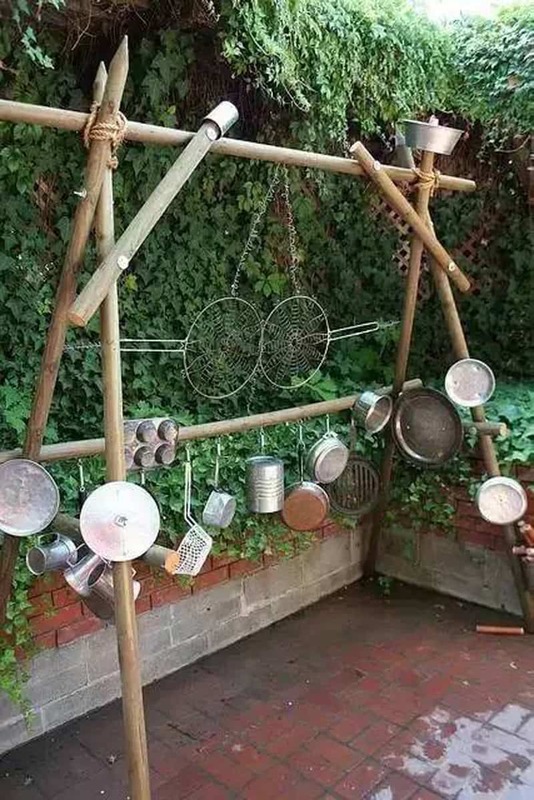 Creating a sound garden for kids will engage their senses whilst having a little fun – an invitation to experience the outdoors in a new and fascinating way. 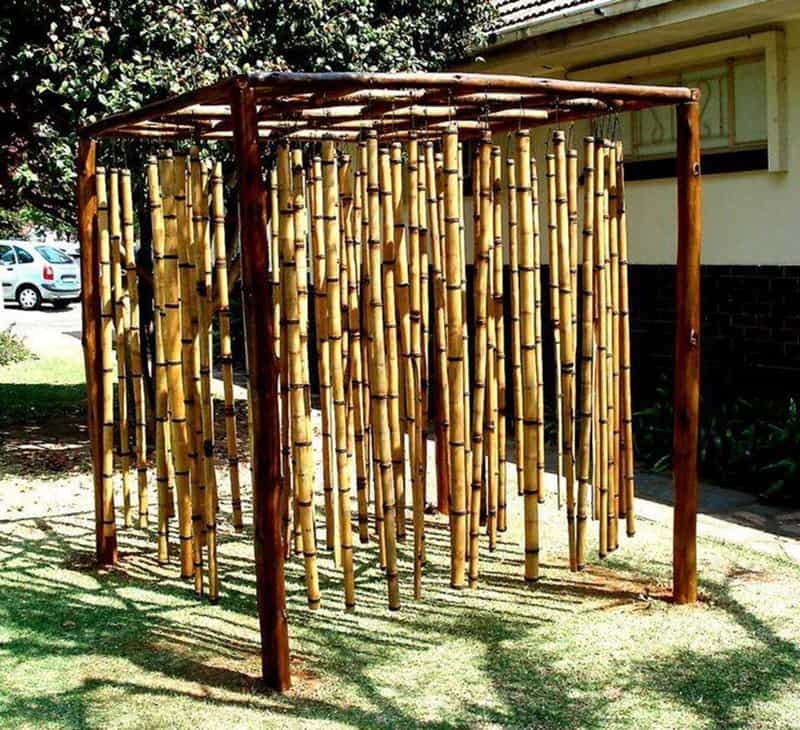 Sometimes, it is hard to think of ideas to beautify your outdoor play area. For today, I want to share some child-friendly backyards and outdoor playscapes that I find to be so inspiring. 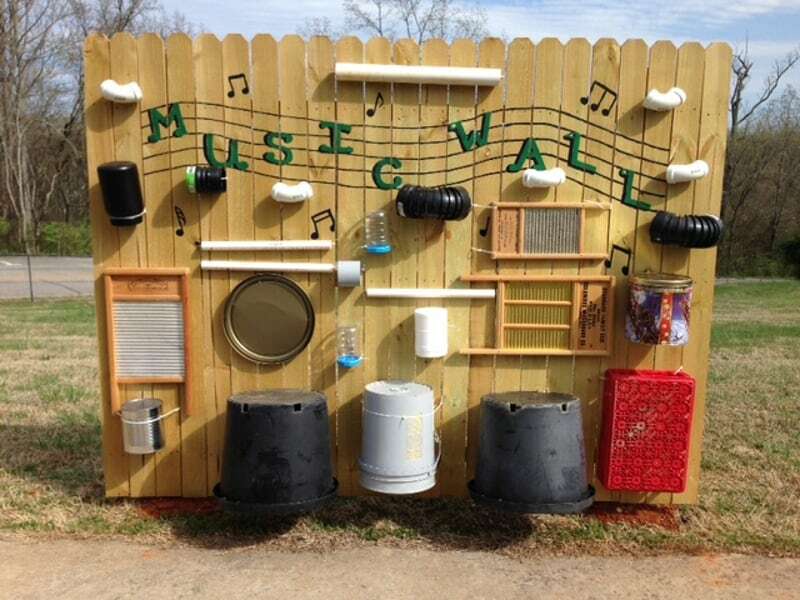 Music wall for playground is one of the best things that kids will appreciate very much. 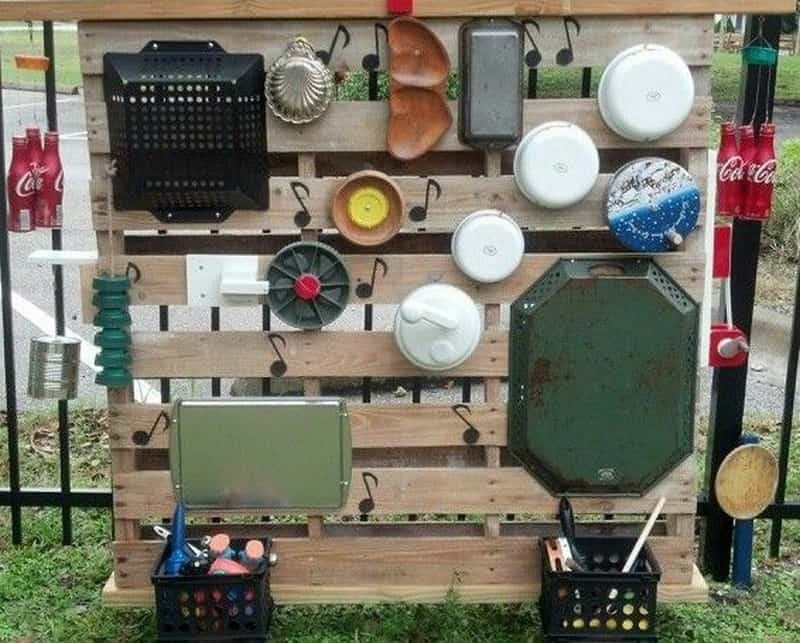 You have no idea how could be one of these outdoor music wall for you kid! By using natural playground components, like outdoor musical instruments, hill slides, and logs we can engage our children and help fight the trends in childhood obesity, bullying, absenteeism, injury, attention spans and depression. The music is essential for harmonious evolution! Do not ignore it! An outdoor sound wall is very amusing and entertaining. And the most important thing is very simple to create one! Playing an outdoor musical instrument does not have a required skill level, or an age limit, so it’s something that friends or families can do together, all contributing and creating their own musical ideas and sounds. 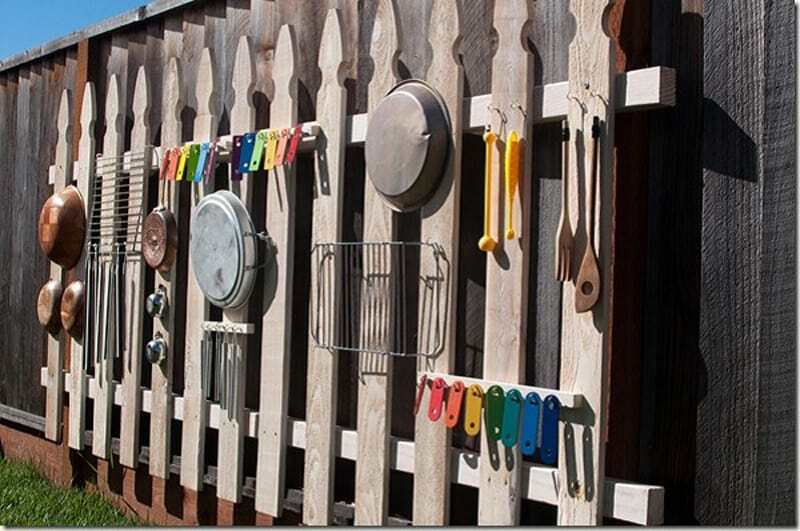 Enjoy our article about 13 Outdoor Music Wall Ideas That Will Embellish Your Child-friendly Backyard! 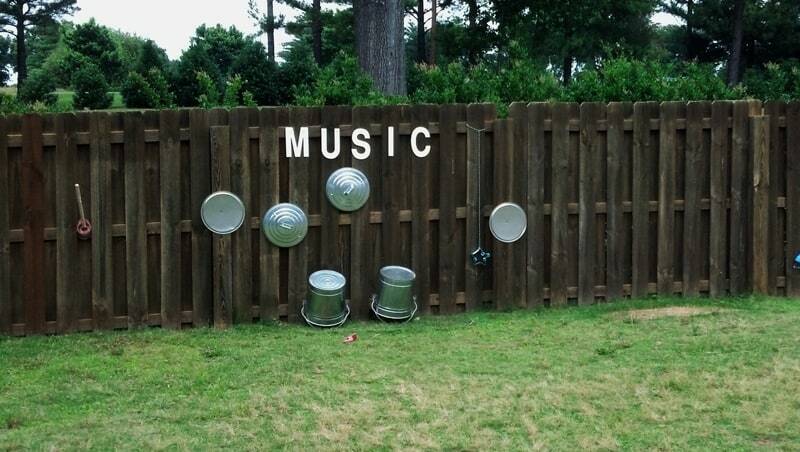 An outdoor music wall is very creative, easy to realize and has no rules! Being outside is necessary for well-being and enjoyment of life. We strongly believe that outdoor musical play ticks all the right boxes – it offers cognitive, emotional and physical play opportunities. 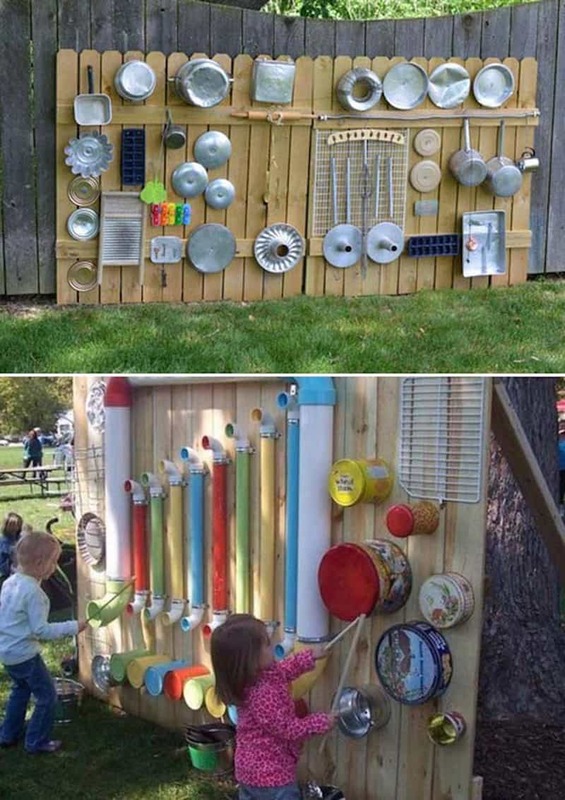 We love all of these amazing outdoor music wall ideas. 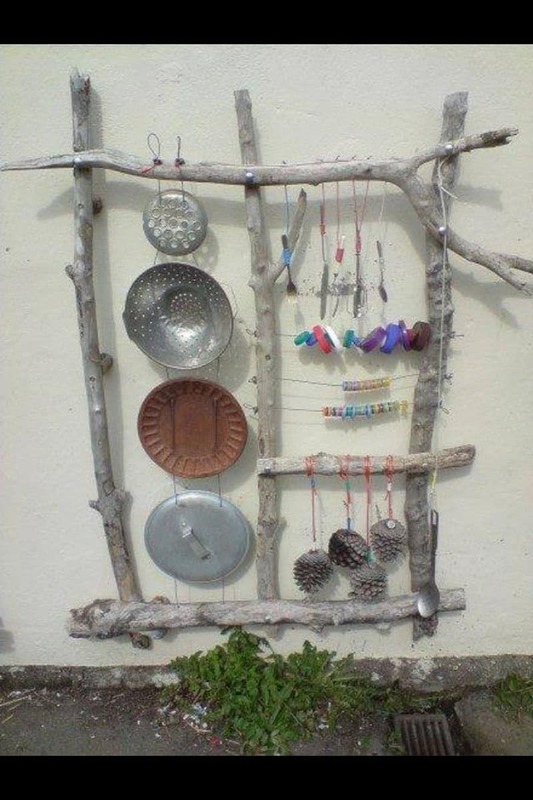 There are so many wonderful ideas for DIY instruments and music stations around. 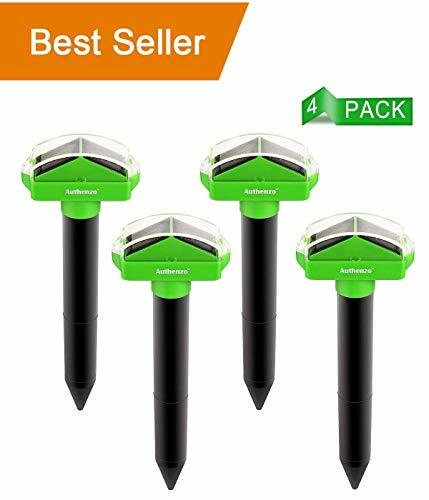 This provides an excellent opportunity to explore alternative purposes of things with kids as well as teaching them about recycling and upcycling. It is always so satisfying to reinvent things – such fun! 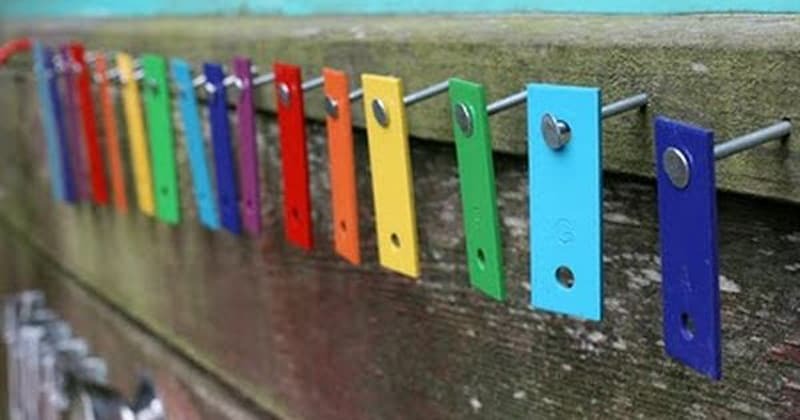 I thought that it would be fun to combine some of these ideas into an outdoor music fence. Great fun for exploring different sounds and a good opportunity to make a lot of noise! There are no rules to create a music fence and there are no rules for musical improvisation! Just make sure that it is something that makes a satisfying noise when it is banged! The focus is on creativity and expression and there are no instruments as easy to learn as ours, yet they’re capable of making some very complex, very beautiful music. Check out our FREE natural playground designs and our natural playground equipment options. Don’t forget! 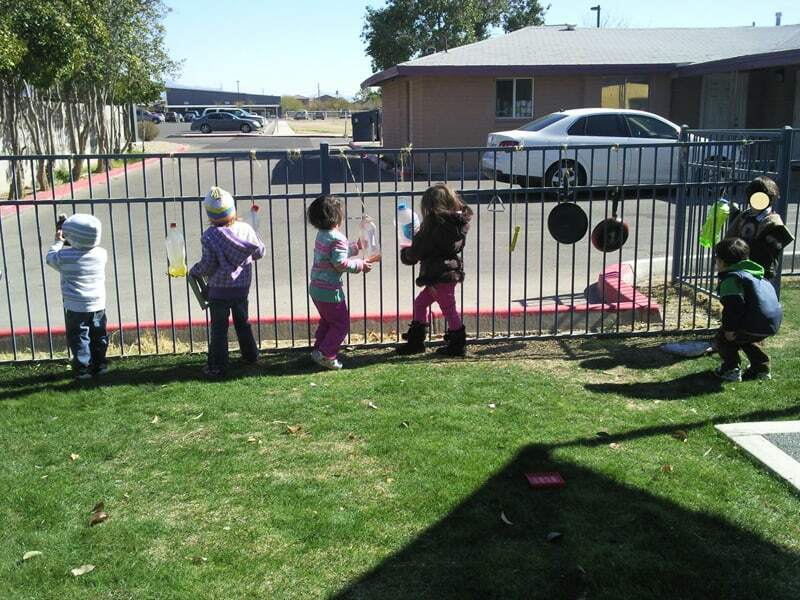 Outside is perfect for eat, play and work! Get inspired by our article, too: Let’s Eat Out! 45 Outdoor Kitchen and Patio Design Ideas.